Last night, I went to Lippett Park for the next round of Beginning Runner’s Group. Exactly a year ago, many of us were meeting for the first time. We were nervous and timid. This time, hugs and laughter filled the air. Last night, we were the ones assuring nervous first timers that than can absolutely do this, that they will be able to run a 5k in June. All of the things that seemed unsure or impossible a year ago are part of my everyday life. I can run a few miles without stopping. I can run (interval) seven miles… in a row! I can set goals and know I will achieve them. I love the support BRG provides. 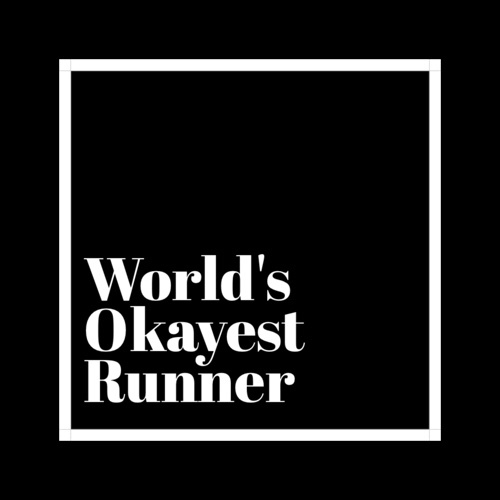 Without that support, I never would have been able to become a “real runner.” The thought of training for a half marathon would be as unfathomable as trying to hitchhike to the moon. Running has taught me that I can set goals, work towards them, and achieve them. Running has taught me to appreciate what my body can do. Every Saturday morning, I track my measurements. While I have only lost five pounds during my year of running, I’ve lost ten inches. My feelings about food have changed dramatically; I no longer look at food as a reward or exercise as a punishment. For the first time in my life, I think I have managed that healthy, it doesn’t have to be all or nothing attitude towards food. While I would like to lose another ten pounds, my focus lies more in changing what my body can do rather than what it looks like. Running has taught me that positive friends make all the difference. I’ve written about my awesome groups several times. I would never have the confidence to attempt a lot of my favorite memories from the past year if it weren’t for the encouragement of the people around me. I’ve stepped out my comfort zone countless times this year. I would never have done so without people cheering me on, keeping me accountable, and filling the training with laughs and conversation. Running had taught me the importance of not just setting goals, but also being vocal about them. For years, I dreamed of being a runner. I was able to make that happen. When I signed up for the half marathon, I didn’t really tell people, still questioning my ability. Mike proudly started bringing it up in conversation with friends, “Tell ________ what you’re training to do.” Nervously telling people makes me more determined to reach this goal. I publically set my goals at the gym, writing them down for all to see. While talking about training last night, conversation leaned more towards how excited we were to crush this goal than how worried we were about running thirteen miles. Setting goals keeps me motivated and accountable. By this time next year, I will have completed two half marathons. If they go well, I am going to throw my name into the New York City Marathon lottery, letting chance decide whether or not a marathon is in my cards. At this point, I would love to be able to tell my grandkids that I ran a marathon. I would love to be able to cross that goal off the bucket list. If it doesn’t happen, I will not beat myself up over it. I am too proud of what I can do to get hung up on where I haven’t made achieved (yet). There is nothing I can say that will help you feel better. However, knowing that you are not alone in your grief is comforting. Sometimes, people will tell you that your mom is no longer suffering. That doesn’t make you feel much better; you wish you still had your mom here and that is okay. It is your grief, no one can tell you how to handle it. Other times, people are afraid of saying the wrong this and say nothing. If I’ve learned anything, saying something, acknowledging the pain, is always helpful. Grief is going to hit you out of nowhere when you least expect it. This isn’t like a cold that you can nurse better in a week or so and go on with your life. Years later, something great/sad/silly/amazing will happen and you’ll think about telling your mom, only to have the sinking realization that you can’t. When my mom was in the nursing home, I used to call my mom every afternoon when I was getting on the highway after work. Eight years later, I still take different backroads to get to the highway, simply to avoid the reminder that I can no longer call my mom and tell her about my day. While spending Thanksgiving with my in-laws, I always think of my mom’s burnt dinner rolls, look at my mother-in-law’s perfectly cooked rolls, and tear up that I will never be able to make hockey puck roll jokes with my mom ever again. You will be able to resume day to day normalcy, but grief will come out of nowhere and hit you when you are not thinking about it. For a long time after she’s gone, you’re going to remember your mom as perfect. It is okay to also recognize her flaws. I tell Liam about his Nana, who fought so hard to stay alive long enough to meet him, keeping to myself how angry I was when she told everyone I was pregnant long before I was ready to share my news. Freshly remembering the pain of discovering I was pregnant only to have it go away, I didn’t want to jinx myself or have to explain to people I was no longer pregnant if that happened again. My mom couldn’t help herself, sharing the good news with everyone she could. As time passes, things that used to drive you bonkers about your mom will become nothing more than entertaining quirks. Signs are going to come when you expect them least and need them most. Don’t question how or why they happened. Appreciate the signs that a loved one is still watching over you. I keep putting together these words, hoping for the courage to write them on a card and send them. I don’t want to appear like I am an expert on your grief. Your grief is different than mine, which is why there is not one magic formula for recovery. Knowing that you are not alone makes all the difference.